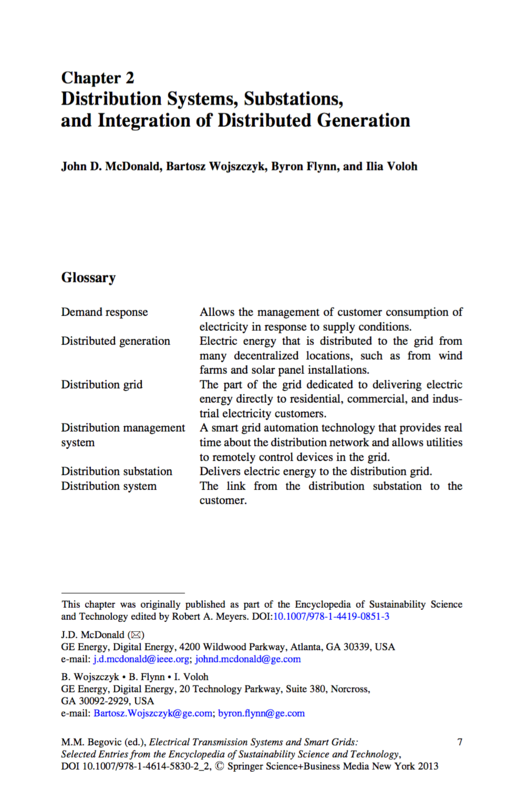 Distribution systems serve as the link from the distribution substation to the customer. 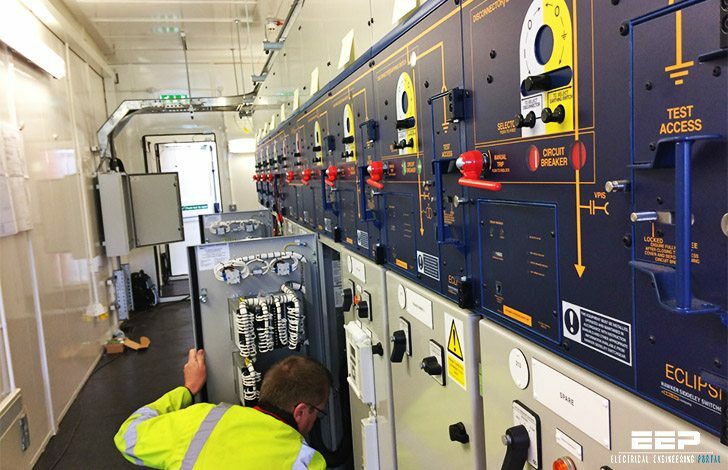 This system provides the safe and reliable transfer of electric energy to various customers throughout the service territory. Typical distribution systems begin as the medium voltage three-phase circuit, typically about 30–60 kV, and terminate at a lower secondary three- or single-phase voltage typically below 1 kV at the customer’s premise, usually at the meter. 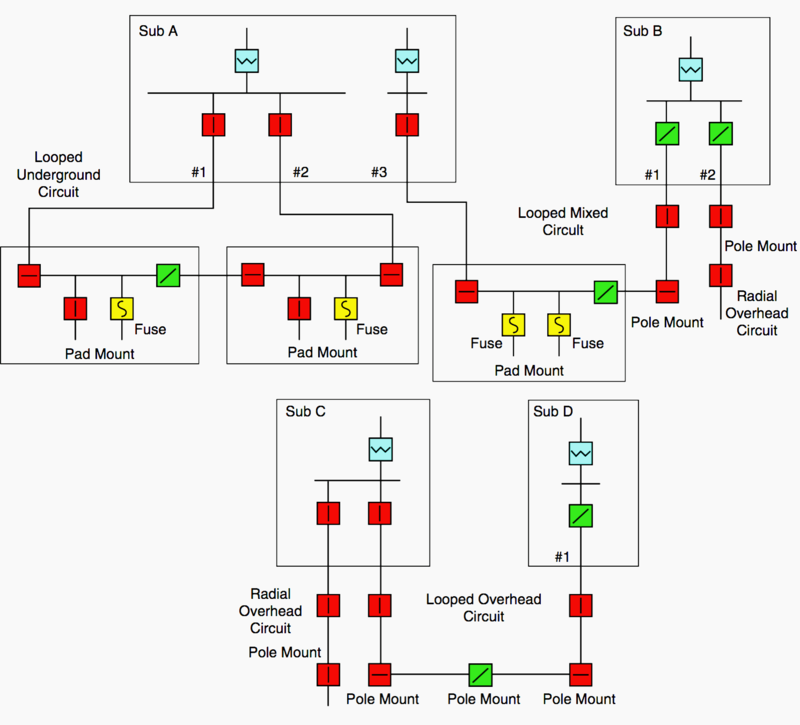 Distribution feeder circuits usually consist of overhead and underground circuits in a mix of branching laterals from the station to the various customers. The circuit is designed around various requirements such as required peak load, voltage, distance to customers, and other local conditions such as terrain, visual regulations, or customer requirements. These various branching laterals can be operated in a radial configuration or as a looped configuration, where two or more parts of the feeder are connected together usually through a normally open distribution switch. High-density urban areas are often connected in a complex distribution underground network providing a highly redundant and reliable means connecting to customers. Most three-phase systems are for larger loads such as commercial or industrial customers. The three-phase systems are often drawn as one line as shown in the following distribution circuit drawing (Figure 1 above) of three different types of circuits. The secondary voltage in North America and parts of Latin America consists of a split single-phase service that provides the customer with 240 and 120 V, which the customer then connects to devices depending on their ratings. This is served from a three-phase distribution feeder normally connected in a Y configuration consisting of a neutral center conductor and a conductor for each phase, typically assigned a letter A, B, or C.